Here’s a thought – why don’t we make a slight change in the approach to new year resolutions? E.g. Better health, better relationships etc – vague is okay. E.g. Better health = 30 minutes of exercise + Maintain daily food journal. Start with someone you know who does what you want to do, well. 4. Commit to sending this coach a daily update on your score for the day with a consequence if you don’t achieve your target. E.g. $1 to charity for every day you miss 30 minutes of exercise. If you really want something done, raise the consequence. 5. Set aside 15 minutes of “Re-commitment” time every weekend to review your progress for the week, and plan for the next. This can be done with your coach if you prefer that. This will be a bitter pill to swallow if you decide to get to it. If ease is what you prefer, then I’d definitely recommend the usual fluffy new year’s resolution that will be shelved within the next 15 days. There is a danger this might actually help us get the “resolution” accomplished. It’s new year’s season and wishes such as – “May this year bring you success, wealth, joy and happiness” etc. Here’s a thought – why don’t we all update our new year wish, just a little bit? Do we really just hope the year will bring “success”, “wealth” etc. What about disappointments, frustrations and all those things we grow through? We might argue that they will happen anyway – why mention the bad/negative stuff? But, is it really “bad stuff”? Would we know joy without pain? Would we enjoy success without many disappointments? I thought of it many times during the year, especially when I felt frustrated and needed a pep up. It reminded me that the great stuff was bound to follow.. So, on that note, I wish you a wonderful new year – a year of curiosity, fascination, hard work, painful practice, significant achievements, meaningful learnings and love.. When asked politely, this question is the ultimate “fluff-cutter.” It helps us boil down to the specifics. A few other fluff cutter questions..
As you might have observed, “I don’t understand” fits very nicely at the start of any of the “fluff-cutters.” One of the key steps to understanding is acknowledging we do not understand..
Of course you are. You just haven’t taken time to reflect. If everything we do in life is an “event”, the preparation exists to ensure that the event goes well. The event is where we execute. And, it’s in the reflection that we glean the learnings. This “event” could be absolutely anything – a serious presentation, a project, a task or even a movie. As long as you have engaged in an activity, it is very likely (>90%) you have learnt something from it. Life doesn’t hand the learnings on a platter though. It just requires us to take some time to reflect. So, the next time you feel you aren’t learning anything, set aside some time for reflection . That’s where the magic lies. I just walked out of the theatre having watched “The Life of Pi” an hour ago and thought I’d write some initial reflections. I’m sure I’ll have more to add to the list as I give the movie some more thought. For starters, the movie was incredibly deep. It wasn’t just about the fact that it was a visual treat (it was). It wasn’t the fact that it was a captivating story (it was that, too). And, neither was it the fact that there were few dialogues that seemed to convey so much. 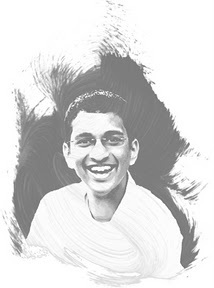 In my eyes, the life of Pi brought out some of the most profound truths about what it means to be human. I apologize for any spoilers if you haven’t seen the movie. I had a few stand out points..
– The relationship between Pi and the Richard Parker was based on need and circumstance. All our relationships are based on need and circumstance and this was no different. They hated each other, at first, and then gradually began tolerating each other. Adversity tends to bind people to one another and it did that to the pair. – Routines, busy-ness and hope matter a lot. As the life boats drifted in the middle of the ocean, Pi speaks of the need for simple routines, to keep yourself busy without over-exerting yourself and most of all, to never lose hope. I wonder if our lives are any different. – Fear keeps you alert. Insecurities matter. I have long pondered about the importance of insecurities. My theory is that that we all have our insecurities and it’s these insecurities that give rise to the drive we have within. Now, “having insecurities” is different from “being insecure”. We can choose to operate with confidence as our basis and rise above these, or choose to be insecure and let these insecurities define us. A lot of the world’s greatest achievers tend to be very insecure (A certain Mr.Jobs comes to mind..). It is my belief, however, that there is little happiness to be found in being incredibly insecure. Insecurity theory aside, Pi beautifully illustrates the importance of fear in our lives. He attributes his survival to his fear of Richard Parker as it “kept him alert.” We all need a bit of fear so we keep alert. If we come from backgrounds where we cannot afford basic, the fear of survival is a natural driver. And if not, we need to make it a point to spend time with people who scare us a bit (e.g. coaches, teachers..). That fear will keep us alert and ticking. – Hunger changes everything. Have you faced the sort of primal hunger that brings out the animal within? I know I haven’t. It’s a reminder that I’ve been fortunate to lead a good life. I am thankful for that. – Keep moving out of your comfort zone. The carnivorous island that Pi and Richard Parker get to is a beautiful representation of the comfort zone in my eyes. They find this beautiful island in the midst of their quest and it threatens to make them forget about their quest. Luckily, Pi realizes that there were others who were consumed by the island and decides to move on. – Some relationships mean a heck of a lot more to us than they do to the other person. There’s a beautiful moment in the movie when Pi watches Richard Parker leave without saying goodbye. Their relationship is over from Parker’s point of view. Pi is left heart broken. It’s a feeling I have experienced a couple of times and the truth is telling. It also reminds me that there are likely very few relationships in our life where both sides hold the relationships equally important or dear. Treasure them. This one struck a chord deep within. Having lost two important people early in life, you realize that letting go is a vital part of being human. But, you also realize that closure matters. A lot. – Truth is vastly stranger than fiction. This one took a while for me to understand and digest. I read a few reflections from others in a couple of forums before forming my own theory. The background here is the exchange Pi has with the writer. Adult Pi Patel: So which story do you prefer? Writer: The one with the tiger. That’s the better story. Here, Pi shares two explanations with the writer. The first is one that involves people, hatred and cannibalism and the second is one that involves sharing a boat with the tiger filled with wondrous stories and escapes. One of the best movies I have had the fortune to see. Note 1: These books were not necessarily published in 2012. These were chosen from the books I read this year. Note 2: I only count “geeky” books/books that make me better here i.e. books related to history, psychology, self-help, business et al. I thought I’d continue the tradition of publishing a top 5 list of the best books I’ve read this year. This year has not been too different from last year in terms of books. The count is at 23 (vs 24 last year). For all practical purposes, it’s been a busy year with a lot of truly fantastic books read. There were 2 big themes this year – happiness and human behaviour. And, thanks to Audible and my R15 system, I’ve been able to keep up 30 minutes of book reading or more pretty much every working day. Over to the awards, then. For all those who would like to make more of their life and careers, this is a book that comes highly recommended. I have attempted to summarize the key principles of the book in a recently concluded book learning series (here). Additionally, I have now been inspired to ensure I apply the principles of deliberate practice in every aspect of my life. Great job putting this together, Cal. Thanks a lot! This is not a new book by any stretch of the imagination. Somehow, it slipped under my radar for a while. And boy, it did absolutely blow me away when I did get to it. 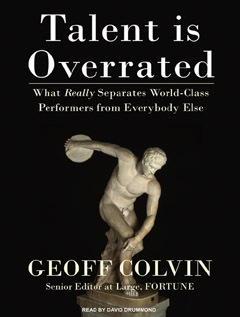 Talent is overrated examines performance in great detail. It beautifully deconstructs the myth of talent and, instead, focuses our attention on a concept called deliberate practice that has gone on to shape our understanding on performance. Impact? It took me months to truly understand the kind of impact deliberate practice could have on one’s life. I began applying it fervently to my guitar practice (as it’s a concept easily applicable to sport and musical instrument learning) and I’ve seen the difference. Now, I’m working to make this a habit and apply it to everything I do. More to follow on this initiative..
Why? It teaches you to ask “why?”. The book is an expansion of Sinek’s famous TED talk and is meaningful, engaging and fun – all at once. It has also solidified some of my own beliefs and biases on leadership. Very inspiring book. Why? Like all books written by journalists, the Power of Habit has a compelling narrative. But, books don’t make it to this list for their compelling narratives – this book is incredibly powerful in that it underlines how important a role habits play in our lives. It goes deep into the science behind habits and helps us understand the nature of our behaviour. Impact? The Power of Habit helped me understand the real difference between the most productive people on earth and the rest – habits. They had habits of deliberate practice, winning etc ingrained in their daily schedules. This book has inspired me to re-examine my own life during this break and commit/re-commit to creating and strengthening some important habits. In my case, I have 2 habits I would like to build – 30 min of exercise 5 days a week and deliberate practice in everything I do. This is going to take work but I’m looking forward to building systems to make this happen in the new year. Why? Jonathan Haidt is the man behind the very powerful “elephant and rider’” analogy for our minds. He also has a very clear and thought through theory on happiness, which he examines in detail in this book. I loved this book. Impact? Understanding the fact that our mind consists of 2 very distinct beings – the elephant (i.e. the strong emotional part. In scientific terms, our lymbic system or old brain) and the rider (i.e. the weak logical part. In scientific terms, the pre frontal cortex) has helped me understand how I can work with my mind to get things done. Understanding the elephant and the rider is critical to help us understand ourselves. And Jonathan Haidt’s studies on happiness also helped me re-commit to little habits like counting 5 blessings every day. Why? Simply one of the most sincere books I’ve ever read. Brought tears to my eyes. And, if you need any convincing, just read this passage..
“Again and again, I therefore admonish my students in Europe and America: Don’t aim at success – the more you aim at it and make it a target, the more you are going to miss it. For success, like happiness, cannot be pursued; it must ensue. Impact? This passage alone has inspired me to no end. It reinforces the principles from the books above – focus on being excellent and giving what you do everything, and success and happiness will follow. I am working on making sure I have reminders of this passage all around me. And thus, another year has passed. There have been so many learnings and changes in my life thanks to some of these books. If you haven’t gotten to them, I hope you will find time during the holidays..
Here’s to many great books in 2013! It’s time for the holidays, for rest, reflection and relaxation. The new year will be upon us soon, and will usher in new hopes, dreams and promises. That’s still a few days away though. For now, let’s enjoy the good food, the rest and celebrate a year that’s gone by. For those still working, I hope you don’t work yourself too hard..